Dishonesty and injustice are abhorrent to the Lord. He delights in integrity and justice. Especially detestable to the Lord (and to people, too, when they find it out) are crooked businessmen. Dishonest business practices will never bring you happiness; therefore, be careful to maintain integrity in all your business dealings. Especially is this true of business dealings with the poor. Because the poor are often unsophisticated and easily fooled, they are frequently targeted by dishonest businessmen; but remember, my son, that God is the avenger of the poor, and He will not overlook the deeds of those who spoil them. He is the Protector and the Avenger of the widow, the orphan, and the foreigner who visits your land. Be considerate of them. As long as crooked businessmen escape justice, they enjoy immensely the pleasures purchased with money gained by deceit, but God will fill their mouths with gravel before He is finished with them and will force them to chew it. Do not allow a desire for wealth to lead you to cheat others out of what is rightfully theirs. It is not right to take advantage of those who cannot defend themselves, even if no earthly authority will convict you for doing so. God’s judgment is not bound by the imperfect standards of men, my son. There is a wisdom in knowing how to gain earthly wealth, but it is a worldly wisdom, temporal and tainted with sin. Do not pursue that path; it does not lead to enduring happiness. It will benefit you nothing to acquire a fortune through ungodly means. Only doing what is right leads to lasting happiness. No person motivated by a desire to get rich quick can keep from committing sin. Some may think that beating people out of their money will bring them happiness, but what do you think their chances for happiness will be when they stand before the Almighty to answer for their thievery? When a poor man resorts to the oppressive tactics of the wealthy to plunder another poor man, it is like a tornado striking a farm after a hurricane has passed over, robbing the farmer of the little that remains in his field. The poor man who refuses to resort to evil in order to escape poverty is better than the fool who deceives others in order to increase his earthly possessions. An honest poor man is better than a liar, though he be rich. He is better even in his poverty, if he is upright, than anyone who is perverse in his ways, whether rich or poor. Of course, customers can be as crooked as any businessman. Some of them will protest vociferously that a product is not worth much and coerce a weak salesman into selling it for less than he should; then, they will brag to others about the great bargain they negotiated. “It was a steal! *rdquo; they say. And that is exactly what it is in the eyes of God – stealing. All such business practices are evil, for they are based upon deception and coercion. Whenever you are dealing with the necessary business of this life, remember that men of earth are in business because their bellies demand food; they are not in business to do you a favor, no matter what they tell you. Whatever work any man is doing, he ultimately is doing for himself, that he might be happy. Then, seek counsel in all your business decisions and consider carefully all the possibilities. A dependable employee relieves those he serves from burdens that can wear down their spirits and their bodies. He relieves burdens from his employers as a cool breeze relieves weary field workers; he forwards the happiness of others. But do not esteem even honest men too highly. Always remember that God alone is the source of honesty and wisdom. All sound judgment and honest dealing is the result of the influence of God’s Spirit on men; there is no honesty, understanding, or justice apart from Him. My son, walk in the right way and be faithful to those who trust you. In neglecting his duties, an unfaithful employee causes trouble for both himself and others. And if such a man is given an important responsibility, he can cause enormous sorrow and regret for those who trust him; they would just as soon have a broken tooth or a bone out of joint as to trust in him again. To betray someone who has done good to you is one of the worst of sins. God’s punishment for that wickedness is a curse that nothing will reverse. People will tremble when they see God’s curse upon the man who refuses to sell his crops to the needy because of greed, but the Lord will bless the man who cares about others and sells his crops to the hungry. The possessions of the poor are precious in God’s sight; take nothing from them unjustly, for He is their Avenger. In time, you will see that those who hoard up great wealth unjustly, either by charging interest on debts or by other wicked means, are only hoarding that wealth to be distributed to the poor. There is such a thing as giving away earthly possessions, yet becoming richer; and there is such a thing as hoarding up earthly wealth, yet becoming poorer. The generous soul shall possess great riches, and he that relieves others of heavy burdens shall himself be relieved of his burdens by the Lord. A good man stores up blessings that are protected by God for his grandchildren, but the wealth that sinners store up is eventually given to those whom God loves. Even if they do not have an official title or hold a high public office, the rich in this world have learned that lending money and charging interest makes them masters and other men their servants. Those who borrow are slaves to those who lend. The man who charges interest on loans will have fellowship with the poor man in his poverty. God will enlighten the lender to the fact that it is evil in His eyes to increase one’s wealth by taking advantage of the need of others. And the poor man, seeing the judgment of God, will learn not to resort to the greedy man’s way of pursuing happiness. Fortunes amassed at the expense of the happiness of others are taxed heavily by the Lord, but wages honestly earned are invested in Him. Never co-sign a loan for someone who does not fear God. In fact, co-signing loans for anyone is unwise, for it needlessly places your property at risk. A fool puts up his own property as collateral for his friends, who are also fools, without considering the consequences of trusting fools to do the right thing; He will lose both his fortune and his friends. Live simply and mind your own business, for if you place your property at risk to do someone a favor, you may lose that precious collateral. If, however, someone offers you valuable property as collateral for a loan, and if the loan is not for himself but for an ungodly friend of his or for an immoral woman, make the deal quickly. You are about to become richer without having to do any work. The rich have many friends, but, oh, how lonely the impoverished life can become! Yes, money produces many friends–as long as a man has plenty of it. But how quickly an empty wallet can drive away his neighbors, friends, and even his family! He may humbly plead with them for compassion, but to no avail. Purchased friendships vanish when the purchasing power is gone. The rich man’s wealth insulates him from troubles that others commonly suffer, while poverty exposes the poor man to complete ruin. The rich man’s wealth is like a strong fortress, protecting him from many of the world’s distresses. Earthly wealth can also extend the life of those who have it, either because a healthy diet is more available to the rich, or because medicine and medical care are more affordable for them, or because a judge is bribed to spare the life of a wicked, wealthy sinner. The benefits of earthly wealth make it difficult for a wealthy man to feel his need of a Savior, and so he often becomes very proud. Seeing all the benefits of wealth, however, the poor are sometimes lured into pursuing earthly riches as a means to happiness. Such foolish men will suffer a sudden and calamitous ruin, while those who trust in the Lord will remain safe and blessed. The man who uses bribery views his money as a magical stone, performing wonders for him wherever he carries it. His heart is wicked; the bribes he brings out of his pocket are intended to corrupt officials and pervert justice, and his bribes often succeed in accomplishing their insidious purposes. Bribery procures for wicked men appointments to high office and access to influential officials. The wrath of many judges has been placated by a secret gifts, and many transgressors have escaped justice by offering a bribe. (None of this means that wickedness has triumphed. For His own purposes, God determines who rules and who is condemned in court.) One of the chief reasons wicked men seek high political office is that they know that many men will then seek their favor and that they will pay well for it. Such a man is greedy and foolish. By taking bribes, he jeopardizes his family’s happiness as well as his own, but the happiness of the man who trusts God and is not corrupted by bribes is secure. He will abound with God’s blessings and live forever in perfect happiness because he refuses to depart from the right path. Some have murdered friends, relatives, and even their own parents in order to obtain an inheritance before God had ordained for them to receive it, but inheritance gained in such a fashion will never allow a man to be truly happy. The man who robs his father or his mother and, after seeing their tears, thinks that there is nothing wrong with his treachery, is as senselessly cruel as a vandal, marring their happiness and destroying his own. When men obtain riches by evil means, it is as if they are playing catch with dynamite while the fuse burns. It’s only a matter of time before what they have stolen destroys them. Get-rich-quick schemes cause men to sin; leave such schemes alone. Walk steadily up the good road, and be content with the many blessings that are obtained along that way. The man who pursues quick riches is double-minded and confused; he wants happiness but is attracted to paths that take him away from it. Along such dark pathways are pitfalls that he will not escape and in which he will lose everything. The poor man who does not trust God will steal food when he is hungry, giving no heed to the consequences. (However, a poor man who is righteous would rather suffer than transgress God’s commandments at any time.) No food tastes good to those whose bellies are full, and they can hardly empathize with the poor man’s plight. But to the hungry man, even bitter foods seem delicious, and hunger can drive a man to take great risks for just a mouthful of food. Do not think these things cannot happen to you! What I am about to tell you, my son, is painful, but it is a realization concerning your nature, and the nature of all men, to which every wise man, with a sense of deep shame, comes. My son, until we are established unmovable in the ways of our God, every one of us who belong to God has a price for which we would sell out our Savior. Did you not know this about yourself? Those who offer bribes understand it well, and you must understand it, too. For in acknowledging the truth concerning this common, tragic weakness in man’s nature, your motivation to overcome it is strengthened. Pray earnestly not to be led into temptations that are stronger than your commitment to God. (True fasting is when you become so hungry for God’s strength against sin that you cannot eat.) But God’s care for you, my son is complete. You can safely trust the Lord always to protect you from temptations greater than your spiritual strength. You will be given plenty of time to mature in knowledge and to develop a perfect commitment to the right ways of God. Then, everything this world has to offer will seem as dung compared to the incorruptible, heavenly riches upon which your heart will be set. Totally commit yourself to doing the will of God, and you will avoid the insecurity of many of your peers. A made-up mind is not easily confused or turned aside. Why will you set your affection on money and trust in something to bring you happiness that can disappear overnight? Would you trust your future to a wild bird, whose very nature calls it to fly away from you? Money is like that; it has wings, and it can soar away as an eagle over the mountains. Eternal happiness is the wise man’s goal. That is worth everything. To possess true happiness and be poor is better than to be unhappy and have great riches. Make every effort to prove yourself upright and faithful, for a good reputation is more valuable than any amount of money, and to have the loving favor of God and of men is more precious than gold. In hope of finding treasures of gold and rubies, men bore mines deep into the earth and laboriously sift through the sediments of streams, but if you find a man who knows God, you have found real treasure. 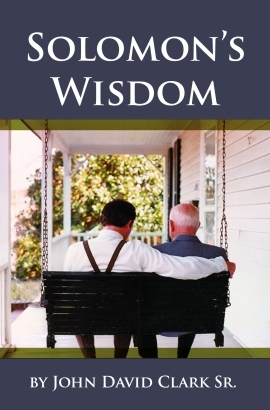 With all your heart, bore deep into his knowledge and carefully sift through his words for wisdom. With the acquisition of all earthly wealth comes problems. It is the blessing of the Lord that makes one truly rich, and He adds no sorrow with it. With true riches, there are no maintenance fees, no security concerns, and no leaving it all behind when you die. It is better to be poverty-stricken and have peace with God than to live in luxurious misery. It is better to have nothing to eat but a few herbs and live in a house filled with love than to dine on the finest cuisine in a troubled home. A poor but upright man is far richer than the man who obtains great wealth through unjust means. Consider the coming Judgment when you think of riches. It is better to dwell among the poor with an humble heart than to share great wealth with the proud. It is appointed unto all people once to die. The rich and the poor, as well as the good and the evil, will eventually meet together in the grave. It is in preparation for the coming Judgment, which all must face after death, that wise men spend their time. Above all, my young son, never steal from God. Bring your tithes and your offerings to Him with fear and thanksgiving. Whoever would have you to steal the Lord’s portion is the enemy of your soul, leading you into a terrible trap. If a man would steal from God, there is no wickedness he would not do; he will lie, pillage, and murder. Whoever trusts him is a bigger fool than he is. Bring all your tithes and offerings into His storehouse; put God to the test. You will find out for yourself whether or not the Almighty can be trusted to keep the promises He has made to His children.